You know me, hard to pass up a brewery when I’m traveling. I headed up to Mackinac Island for the weekend for work. It was a quick trip. Just Friday afternoon until Sunday morning. I worked a half a day on Friday then took off towards Mackinaw City at about 1:00. I left Kalamazoo without eating lunch with the intention of stopping for BBQ in Lake City…but that fell through when I got to the BBQ place and it was closed for the season. At that point I figured I’d just get all the way to Mackinaw City before finding something to eat. 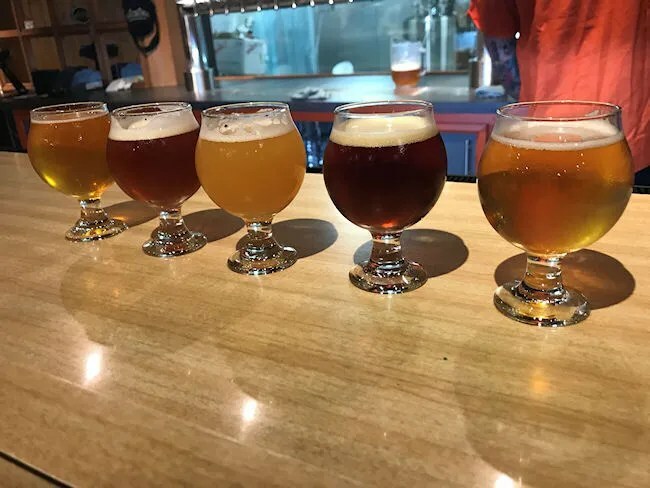 I did a quick search for restaurants when I got off I-75 just before the bridge and one of the first things that popped up was a brewery. 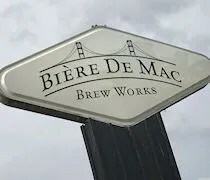 Biere de Mac is just outside of the Mackinaw City village limits in Wawatam Township. It’s on Mackinaw Highway about a mile south of the I-75 exit. The brewery opened in January of this year. The building had housed a popular buffet/family restaurant seasonally for the last 35 years called Neath the Birches. I pulled in to the parking just before 5:00 on a Friday night. There were a few cars there already as the staff was getting ready for the evening dinner rush. I was alone so instead of taking up a table. I headed straight for the bar and joined a couple of other guys who were enjoying a few beers after work. There are still a lot of traces of the previous life of this building on display. The chairs were the first thing I noticed. The dining room is filled with black leather chairs on wheels. The walls are wood paneling which just gives the whole place the feeling of yesteryear. 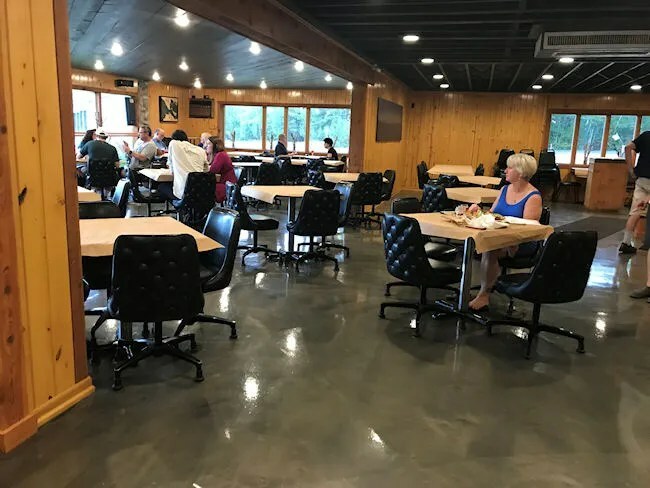 They did update the decor a little bit by pulling out carpet and going with a more industrial concrete floor which marries the retro feeling of the old buffet with a more modern feeling of a brewery. 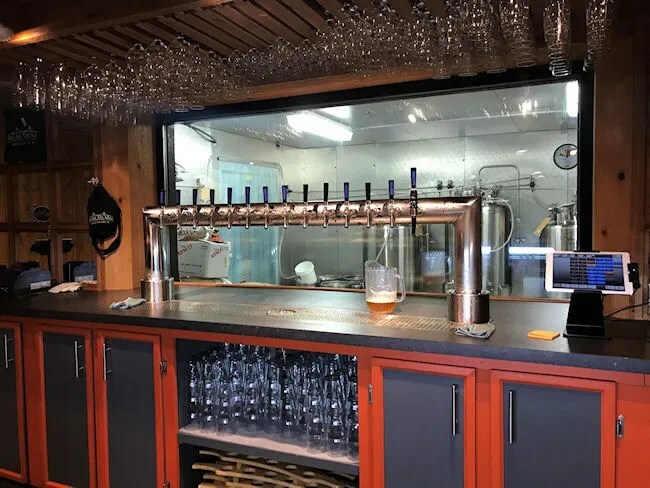 The bar is all the way in the back of the space and it provides a glimpse into the production part of the facility with a window behind the taps. 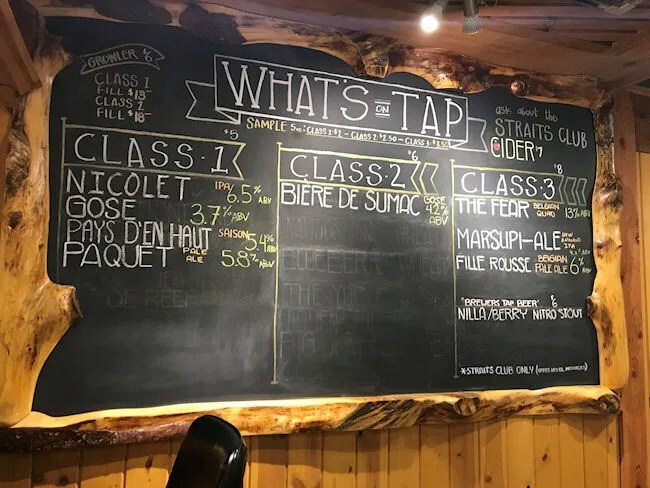 The beer list is written on a chalkboard on wall next to the bar but the bartender also handed me a menu with the beers and food options on it. There weren’t a lot of choices on the board which seemed odd for a Friday night but there was enough to put a pretty good flight together. Beer number two was the Nicolet IPA. This one is kind of a middle of the road IPA with a number of different hop varieties used. Again, another Great Lakes themed name. 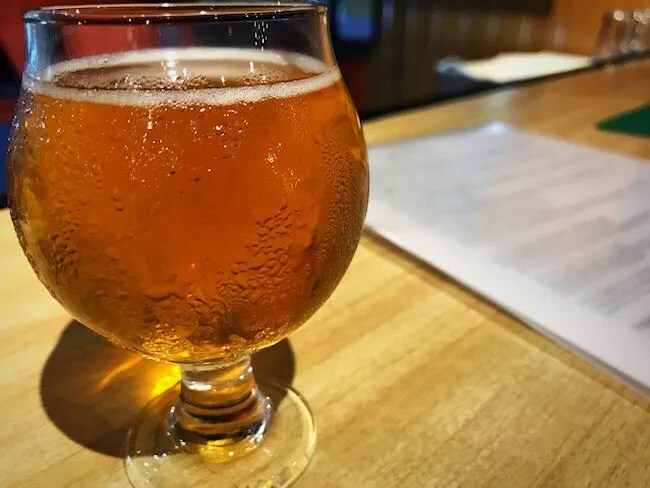 The beer is named after Jean Nicolet who was a French explorer. He’s is credited with discovery Lake Michigan and Mackinac Island. The third beer I tried was The Fear. 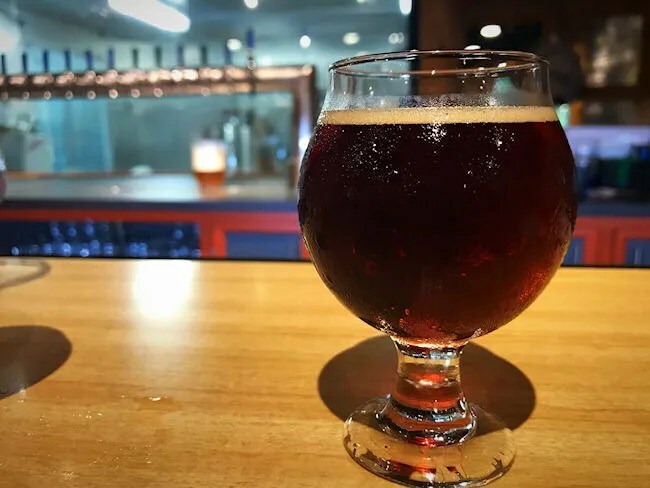 This one is a big Belgian quad with a lot of flavor yet it’s not too boozy. If there’s a Great Lake meaning behind this name, I couldn’t figure it out. Next up was Gose. No name on this one, just a simple description of the style. Again, I’m not a huge fan of this style and have actually despised it lately because of the over saturation, but I decided to give it a shot. It wasn’t overly sour and actually had a pretty decent flavor. I wouldn’t drink a lot of it, but the sample size was perfect. 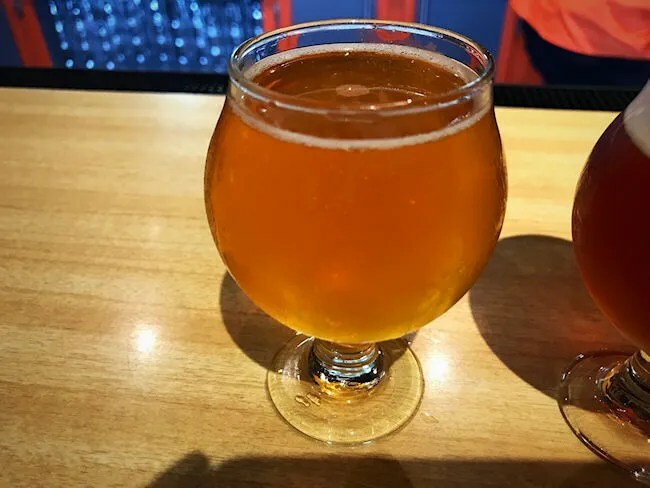 My final beer taster was the Marsupi-Ale. Cute name playing off the word marsupial. 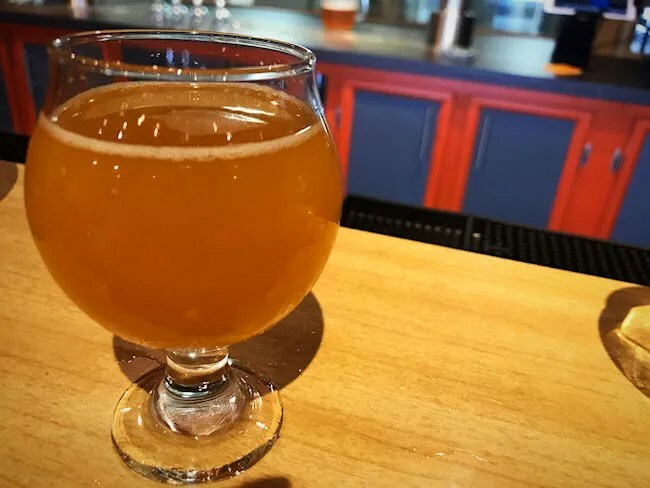 This is a smooth drinking New England IPA. It’s a beer that I could easily drink a lot of if given the chance. I still hadn’t eaten much all day and finding food was actually my reason for stopping at Bier de Mac. They have a pretty good menu of sandwiches, soups, salads, and other traditional bar foods. I ordered the Au Cheval Burger. 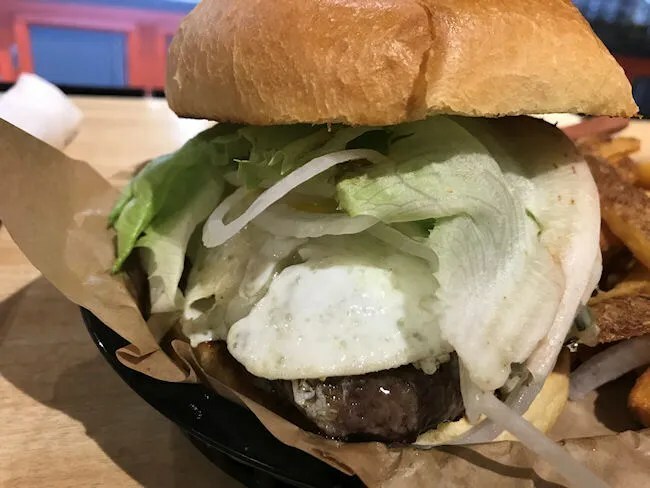 The burger, named after a very popular Chicago burger joint, is topped with a fried egg, green chilies, and pepper jack cheese. 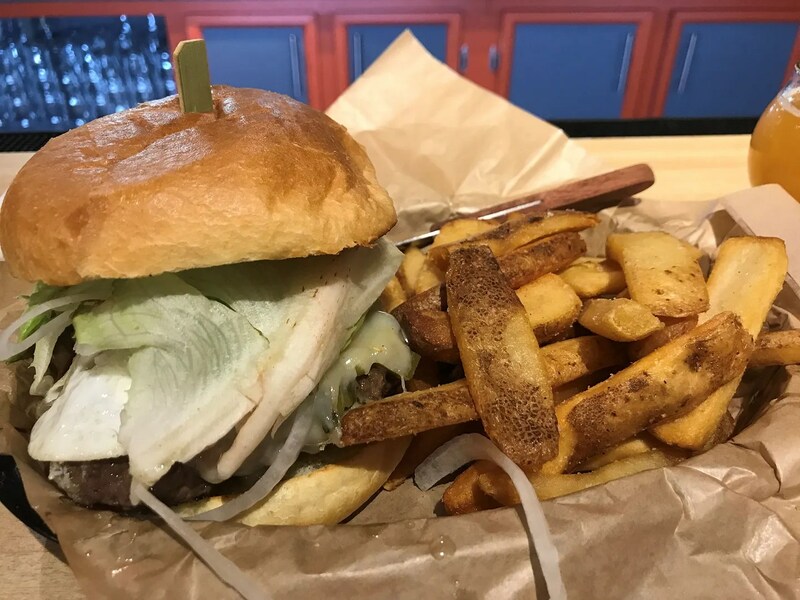 It’s served with chips, but I upgraded to Belgian Steak Fries for an extra $3. The burger was cooked to perfectly pink medium while the egg was just past the runny stage but still soft with some of that yolky flavor. The chilies added a little bit of heat as did the melted pepper jack cheese, but it was nothing that would set your mouth on fire. Overall, a deliciously balanced burger. 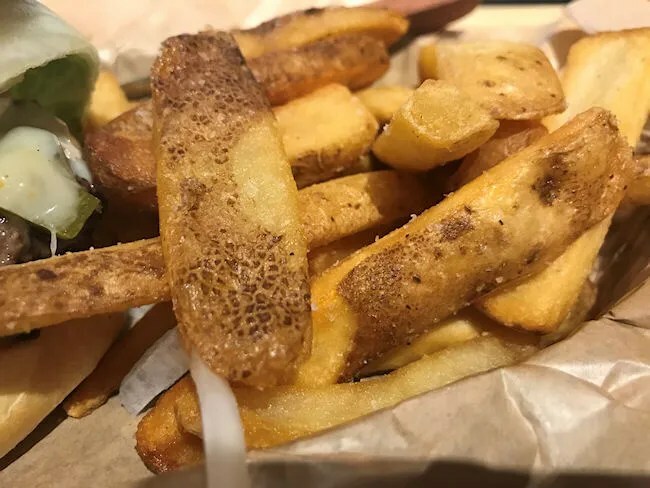 The steak fry upgrade seemed a little high at $3, but they are a thick cut Belgian style fry. The potatoes are covered with a house seasoning once they come out of the fryer. They were good and very filling. I didn’t have to worry about walking out of Biere de Mac hungry. My bill for dinner was a little under $25 and I walked out happy and satisfied. I was in a little bit of a hurry because I still had a couple of stops I needed to make before hopping on a ferry to Mackinac Island. That wasn’t even an issue as the bartender was very attentive and the kitchen got my meal out pretty quickly. 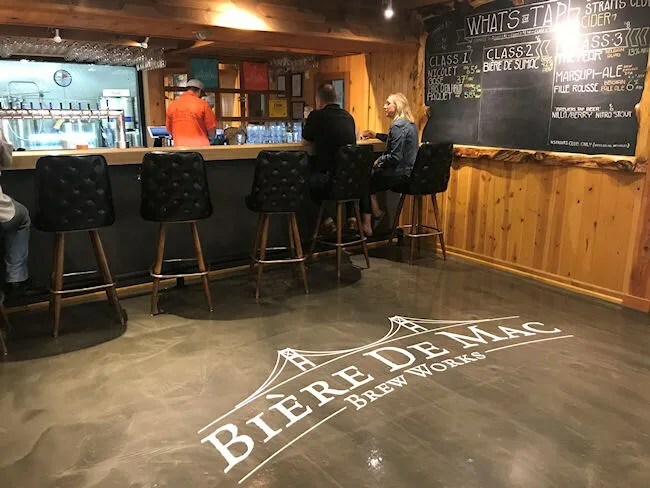 When it comes to breweries, Biere de Mac is literally the only game in town. 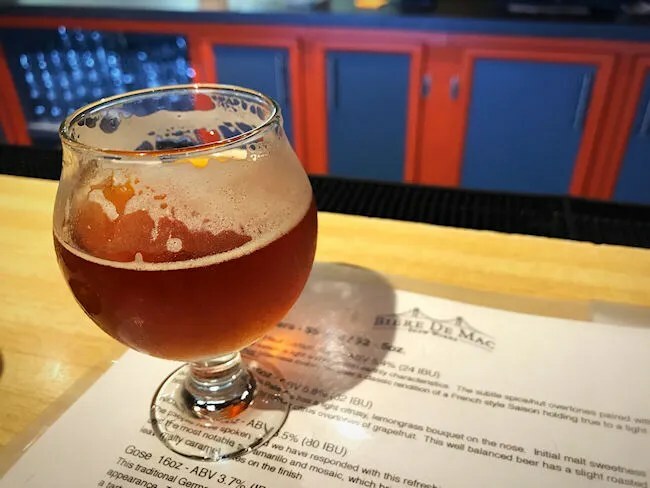 They have a great small batch beer operation going alongside some delicious food. This place is perfect before or after a trip to the Island.